In 1754 the Empress Maria Theresa founded the Oriental Academy to train young men for the diplomatic service of the Habsburg monarchy. 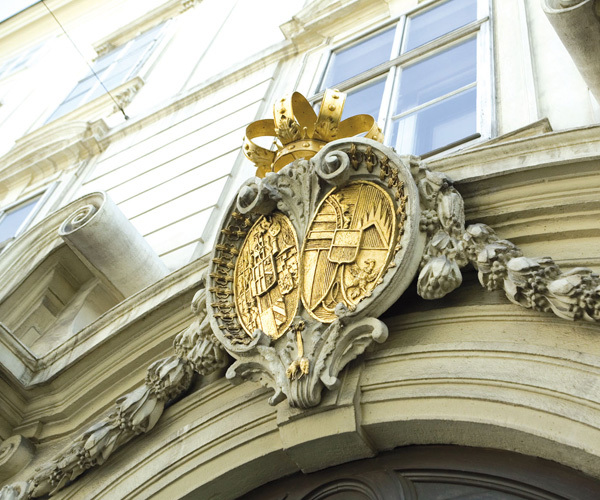 Out of the Oriental Academy evolved first the Consular Academy and in 1964 the Diplomatic Academy of Vienna, which in 1996 was granted the status of an independent public institution. The Diplomatic Academy (DA) – Vienna School of International Studies – École des Hautes Études Internationales de Vienne, is a postgraduate professional school, dedicated to preparing talented university and college graduates for international careers and positions of leadership in international policymaking. The main teaching areas encompass international relations, political science, international and EU law, economics, history and languages. The teaching philosophy of the DA is built on five pillars: the highest academic standards, multidisciplinary training, the interplay between theory and practice, full competence in languages, an optimal student-teacher ratio. Students come from a wide array of nations and disciplines; at the DA they receive a world-class education in international affairs and are provided with a sustainable way of learning, adapted to individual learners and groups. Since 1964, about 1500 students from more than 100 different countries have graduated from the DA. Numerous DA alumni have reached influential positions in international organizations, private business, the public administration of their countries, and in EU institutions.